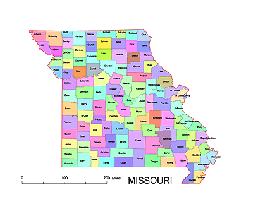 Editable royalty-free map of Missouri, MO in vector-graphic online store. 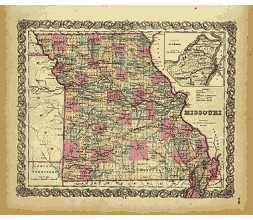 Editable multi layered maps of Missouri State. 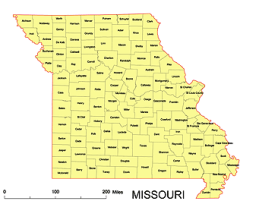 Missouri state is located in the Midwestern United States, bordered by Iowa, Illinois, Kentucky, Tennessee, Arkansas, Oklahoma, Kansas and Nebraska. 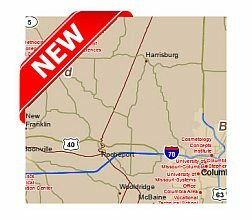 Colleges and universities in Missouri.Vector map. 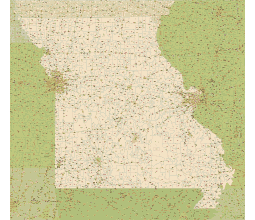 Preview of Missouri county map, colored. 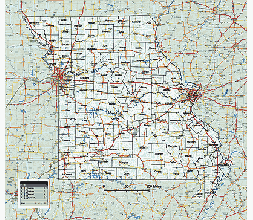 Preview of Missouri State vector road map. 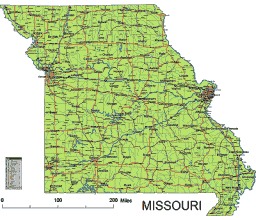 IN THE MIDWESTERN UNITED STATES, Missouri is the 19th state in terms of size of all the states. 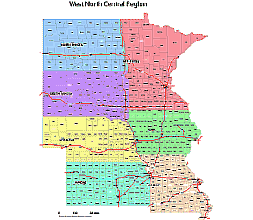 Its name is derived from a Native American word for “town of arge canoes.” Missouri covers an area of 69,686 square mi (180,487 square km). A LANDLOCKED STATE, inland waters cover an area of 691 square mi (1,790 square km). The largest of these waters is Lake of the Ozarks in central Missouri. The state’s north-south extent is 308 mi (496 km) and the east-west extent is 284 mi (457 km). 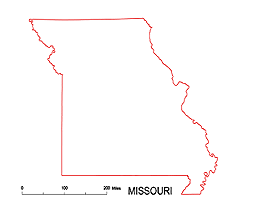 With the MISSISSIPPI RIVER running along ts eastern border, Missouri is bounded by eight states: IOWA, ILLINOIS, ARKANSAS, KANSAS, KENTUCKY, TENNESSEE, OKLAHOMA, and NEBRASKA.